Wow! I has been a great few weeks. Betsy and I have had the opportunity to share our vision for the ministry in Oaxaca, Mexico in several great ways. We have continued to visit the different congregations of Christ Fellowship of KC and have been so encouraged by the tremendous response of excitement. We have also had the privilege of sharing about the Lord’s call on our lives and this exciting endeavor to name Christ where he has never been named with a few of our closest friends and family. Again it has been so humbling to see their response as well. We are so thankful to the Lord that He has given us such wonderful group of brothers and sisters in Christ in our church and outside who want to walk side-by-side with us in this effort for the Kingdom of God. Perhaps the most unique opportunity thus far has been visiting the home school co-op that Ethan and Titus are a part of. Both the 7-8 year old class and the 11 and over classes were studying missions so the teachers asked Betsy and I to share what the Lord has led us to do in Oaxaca. It was so much fun talking to the kids about people who have no access to the gospel because they live in such a remote location. I showed pictures of the mountain ranges in Oaxaca which are filled with thick jungle. The 7-8 year olds provided some great missions strategies such as driving my car up the mountains because it is faster than hiking. Another idea was that we bring a wireless printer up to the tribes so we could just print off copies of the Bible in their language. When I asked how we could print it if their language was not written yet the little boy who suggested it looked at me like I was a fool and replied, “Your printer is wireless!” Needless to say we had fun. We pray the Lord will continue to build momentum in 3 ways: growing passion from His people, prayer for His advancing Kingdom, and experiencing His faithful provision. We will continue to make our way to the different congregations in CFKC (so far we have shared our vision with Johnson County, Lee’s Summit – the congregation I pastor, Parkville, and Weston). 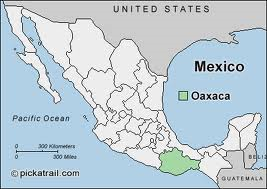 We will also continue to share our vision for God’s Kingdom among the unreached tribes in Oaxaca with those whom we have had mutual impact on each others’ lives. In May I will share at the national FIRE (Fellowship of Reformed Evangelicals) Conference where there will be several church leaders from around the country. Again, we thank the Lord for the kindness of the other elders in CFKC for pushing for me to go along with one of the other elders. So, it has been a great time thus far and we pray that the Lord continues to give us grace in helping people to see the great things He has in store for those who have never heard in mountains of Oaxaca! ← Welcome to the Adventure!